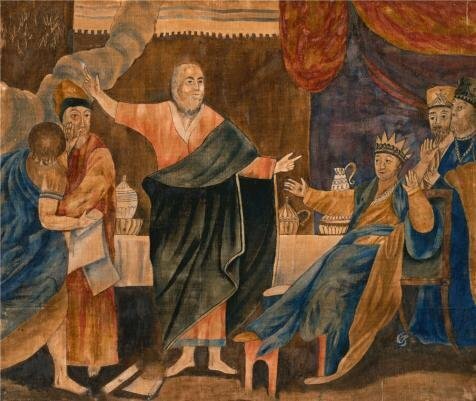 Beautiful Paint on Canvas no frame, no stretch ,Eliza Whitney,King Nebuchadnezzar and the Prophet,about 1830, is for Home Decoration, or Wall Art Decoration, Home Decor. There are fiber canvas, cotton canvas, or linen canvas. And it is also the best gift for your relatives, or girl friend and boy friend. This is a canvas print, named Eliza Whitney,King Nebuchadnezzar and the Prophet,about 1830.